Harold Budd's music is as close to "new age" as Zeitgeist is likely to get. 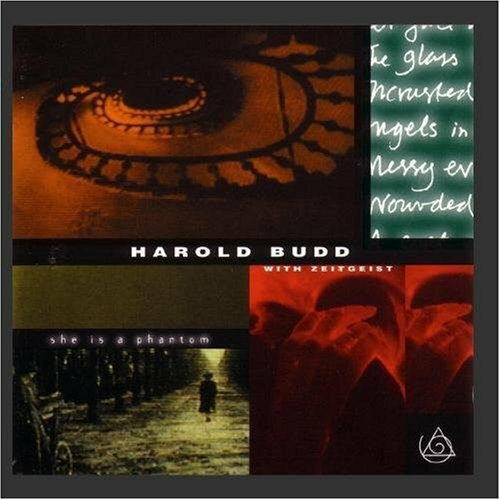 Harold Budd, well known for collaborations with Brian Eno and the Cocteau Twins, writes simple and utterly gorgeous music. Contains Harold Budd's She Is a Phantom (1992), written for Zeitgeist, and In Delius' Sleep (1974). On this recording, Budd joins the ensemble, playing piano and narrating his poetry. Performers: Heather Barringer, Jay Johnson, Tom Linker, Bob Samarotto, Harold Budd (voice and piano).